Why Durham and why Jazz? Three Reasons. On Monday, Art of Cool Project co-founder Cicely Mitchell guest blogged at ArtsNowNC in a piece called “Why Durham, and why jazz?” She presents a few reasons for why Durham is poised for innovation and growth in jazz, both artistic output and audience. The argument is fine, but it doesn’t dig deep enough, since the real purpose of the article is to raise awareness for the Kickstarter round for the 2015 festival. I’ve been thinking about this same subject for years now. I’ve been a Triangle resident since 2000 and a member of the professional musical community since 2006. Plenty of people who might read this post have a few more decades of authority than I, but that won’t stop me from opining :). Glossing over the fact that an entire generation before mine laid the foundation for the current jazz scene (names like Jim Ketch, John Brown, Gregg Gelb, Chip Crawford, Glen Ingram, and dozens I’m missing), I have been thinking about why the scene was stagnant in the aughts, and finally saw the beginnings of a renaissance around 2010. I’ll put forth three possible contributing factors. I’d like to think Richard Florida and his healthily-funded Creative Class lab would be proud. It was quite a common occurrence for the best, most creative jazzers to come through an undergraduate program at UNC, Duke, or NC Central, and emigrate to New York, Chicago, or New Orleans upon graduation (see: human capital flight). This left the Triangle bereft of a critical mass of compelling, proactive musicians willing to invest in the area. At some point, for whatever reason, some people not only didn’t leave but others were coming back. Maybe it’s a love of the Bull City, maybe it’s a strategic move. Something about the area let these musicians know they could forgo the financial hardship of living in a big city and still find meaningful artistic work in North Carolina. Al Strong, co-founder of The Art of Cool Project, is a classic example. Undergrad from NCCU, masters from Northern Illinois University, which degree allowed him to come back and be an adjunct/assistant at NCCU and St. Augustine. Furthermore, NCCU had the resources to start a graduate program in jazz. This not only retained some of its undergraduates from leaving the state, but also began to draw applicants from outside of North Carolina, infusing the local jazz scene with artists from other parts of the country. James “Saxsmo” Gates is from Virginia. Ernest Turner, while not a student at NCCU, came from New Orleans. Tension, fusion, friction, collaboration. These are ingredients for innovation. I’ll be the first to tell you that jazz musicians, as a trope, aren’t the most social, business savvy individuals. We wish we had a rabid fan base, a national tour, and great CD sales, but all we end up doing is messing around in different combinations of each other (The Joe Smith Duet ft Charlie Rogers, The Charlie Rogers Quartet w Joe Smith and two other guys) as background music at restaurants, all of us playing the same 50 tunes. Obviously, there’s a disconnect between the dream and the reality. The Brand New Life – Hailing from Greensboro. Come for the high-energy African/fusion stage show. Stay for the post-tonal, Mingus-like compositions. All three groups use one of the following: a website, Facebook, Twitter. Hey, this is a good time to plug that I curate a Twitter list of Triangle jazz musicians. Which is probably due for some updates. Suggestions? 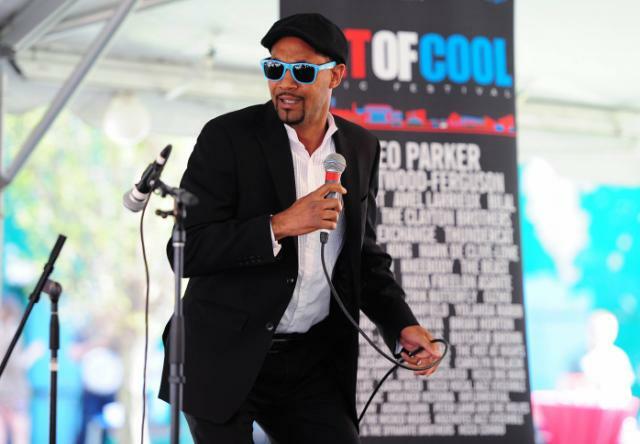 The Art of Cool Project can’t be all things to all people, and doesn’t represent all of the jazz that is happening in the Triangle (generationally, sub-genre-ly), but that’s the whole point. It can’t. It has the good sense to have a focused mission. And look! They consistently accomplish their goals! Welp. That’s where my thinking has been. I’m sure we could tell the evolving story many different ways, and that I have missed out on some possible contributing factors. Also, kudos to the establishments that have come and gone and allowed Durham jazz to have a home. I’m talking about Whiskey, I’m talking about Casbah, I’m talking about Labour Love. They took risks on us. We need to thank them for that. Great post, Eric! This community is very lucky to have you as a leading musical voice. I look forward to seeing what the future brings for this area. Michael I hear you on the “some groups => dance music” thing. Does accessible jazz pave the way for more cerebral/moody jazz? Idunno. I’m in the same boat the more and more I play out with my own tunes (as opposed to The Beast and Orquesta GarDel). I refuse to think of them as being weird and obtuse. For me they are highly emotional, and I’m trying to figure out how, through presentation, I can offer a window into that, hopefully more than 30 people at a time. Persistence, I suppose. Good luck to you!